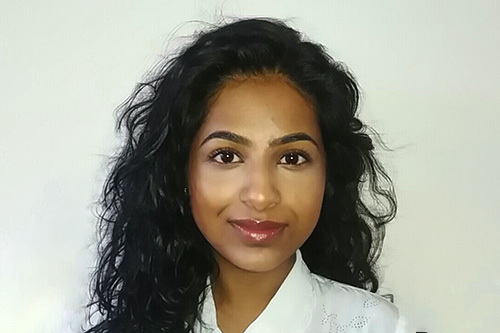 "During my placement, I've had the opportunity to network with others from different sites & departments which has enhanced my communication skills." Where are you undertaking your current work placement and what have the main responsibilities been so far? I am currently undertaking an industrial placement at GSK as a finance analyst. I work in a team that focuses on 18 GSK manufacturing sites which are based around Europe. My main responsibilities include ensuring stock accounting is correctly booked throughout month-ends by taking into account any unusual Goods Received not Invoiced (GRNI) or Goods in Transit (GIT) balances, and monitoring Purchase Price Variance (PPV) on intercompany transactions. I also post SAP journals on behalf of manufacturing sites and run compliance check processes to ensure segregation of duties is upheld and requirements of Sarbanes Oxley are complied with. During my placement, I have had the opportunity to network with individuals from different sites and departments which has enabled me to enhance my communication skills. Organisation and time management are also key areas I have improved on, due to completing timed tasks with specific deadlines. I have been able to make use of my Visual Basic for Applications (VBA) skills which I learnt during the first year of my degree and was able to code a macro to complete tasks more efficiently. I assisted with organising the Christmas Ball for 350 placement students and apprentices, which was an additional project outside of my finance role at GSK. This event consisted of 4 months preparation outside of business hours. As part of my role, I was also able to support one of the many GSK sites going live onto a new software platform. The whole process takes about 2 years however I was fortunate enough to witness and assist with the last few stages of the process. During my placement year, I hope to get an insight into the different sides of production accounting. I believe that shadowing the accounting leads will also give me some additional experience outside of my specific tasks. I hope to also learn about various other roles within finance and develop key skills which will be useful in the workplace. Completing a placement year will benefit me in many ways. Before starting, I was unsure about the specific career path that I wanted to go down. Now, I have been able to learn about a new side of accounting that I didn’t know much about before. I have also been able to broaden my network early in my career. Gaining this valuable experience will help me when applying for graduate jobs in the foreseeable future.